No Shame! Only Power by author Val Newton Knowles, is a fascinating read empowering Christians to walk victoriously in their lives. Are you tired of feeling defeated and hopeless in your Christian walk? Learn to overcome life's obstacles through this powerful teaching of living life according to God's Word and through the assistance of the Holy Spirit. The author gives great insight into the secrets of walking with God and enjoying every minute of it. We don't have to do it alone, learn that the path is already laid out, and understand that if we do our part, God will help us to overcome. For more information about the author and her new book release, No Shame! 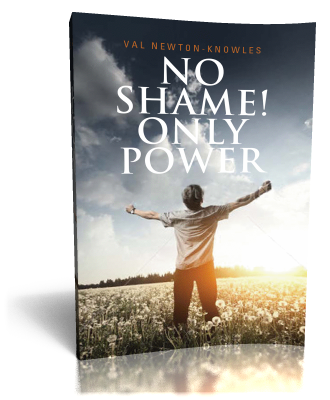 Only Power, visit the author's website at: Val Newton Knowles. Watch for this new book release coming in April and available at the author's website and on Amazon. A Coming Soon Christian Book Marketing book release.